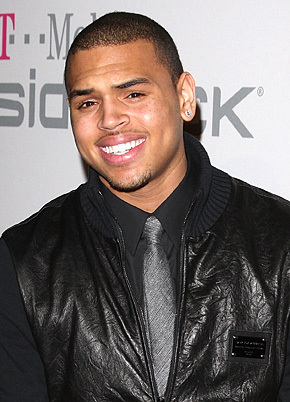 Real name Christopher Maurice "Chris" Brown was born May 5, 1989 renouned as a singer, songwriter, dancer and actor. Chris Brown dropped his debut album, self-titled album Chris Brown 2005 at the age of 16. The album biggest hit "Run It! ", topped Billboards 100 needless to say it went on to be certified double Platinum by the Recording Industry Association of America. He easliy gained widespread notoriety. To further promote the his album and raise fundraising money, Brown began a tour, The Up Close and Personal Tour allwoing St. Jude Children's Research Hospital to earn $10,000 proceeds. Brown released a mixtape with Tyga In May 2010, called Fan of a Fan. "Deuces", which features Tyga and Kevin McCall, was released as a single from the mixtape in the United States on June 29th '10. Brown's fourth album F.A.M.E. was released on March 18th '11... debuting at number one on the US Billboard 200 attaining Chris Brown six nominations at the 2011 BET Awards ultimately winning five awards.